Getting to see the story play out and gaining context to all of the songs I love so much. The incredible weaving of the history of the nation with the personal histories of the founding fathers. The stunning choreography. 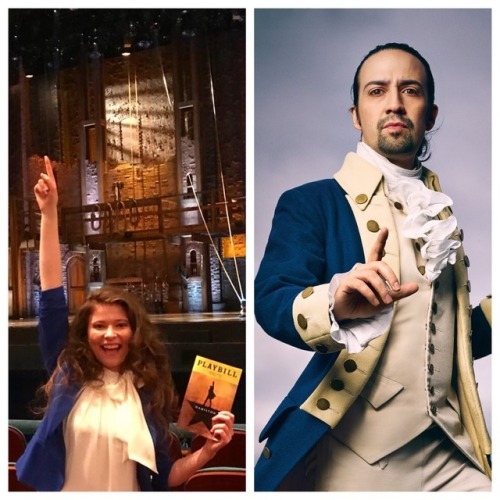 Hamilton vs. Burr. The impressive voice of Washington. The hilarity and laughs for Jefferson and Madisonâ€¦and King George! The shed tears from the amazing emotional performances from Eliza. The beautiful and fabulous relationship of the Schuyler sisters!